With 100% organic, grain free, and hand crafted items we guarantee you and your pup are getting the tastiest, healthiest most love filled treats around! Pizza Puos was great! Was delivered on time and my dog loved the treats! I’ve told everyone at work about it! Order was a little slow to come, but that's understandable over the holiday. My pup really seems to like the treats so far! 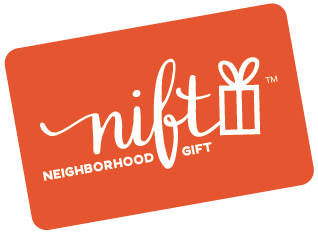 And thanks for the Nift! I LOVE pizzapups! Quality stuff for good prices and very kind employees. PizzaPups is a great company! I love the food designs they offer and my dog loves the treats! What more could you ask for in a cute great packed with dog-healthy and safe ingredients! Keep up the great work! Such adorable packaging and healthy tasty pup treats! Such friendly service, and my boy loooooved the pizza. Highly recommend! We haven't tried the actual product yet, so I'm only commenting on the online experience. But it went smoothly. The only complaint is the high shipping cost. If they are local, is it possible to pick up the product rather than have it shipped?